Auto Restorations can provide everything from a basic inspection to a more thorough annual service and /or repairs. 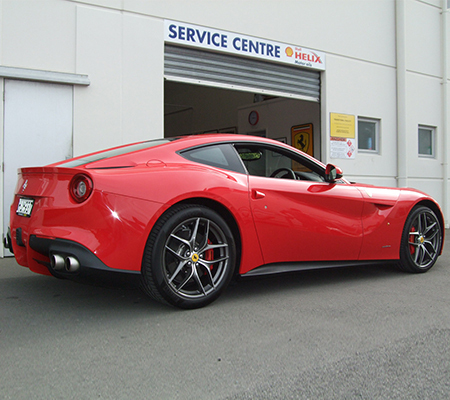 Service has always been part of our operation but we have recognised the need to create a dedicated service department for those vehicles that cannot be provided for by mainstream operators or your corner garage. Tuning multiple carburettors or servicing points-type ignitions are outside the scope of today’s technicians but are everyday practice for our mechanics. Electronic-era cars are catered for too and our new Texa diagnostic tool helps with the servicing of these cars. We have particular experience on pre, post war and classic Ferrari, Maserati, Aston Martin, Bentley, Rolls Royce, Triumph, MG, Austin Healey, Alfa Romeo, Bugatti, Jaguar, etc. Members of our team also have significant experience with American classics. We are centrally located for your easy access at 52-64 Stewart St, Christchurch 8011.